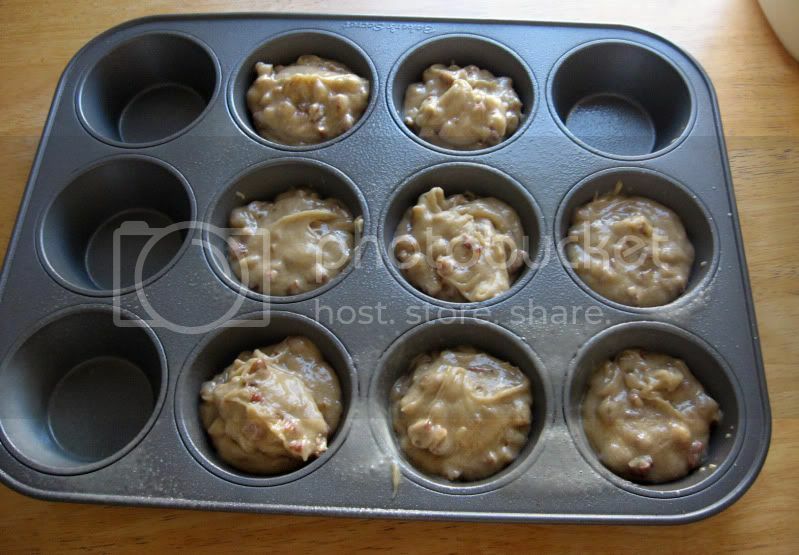 Grease your muffin pan or use silicone cups. 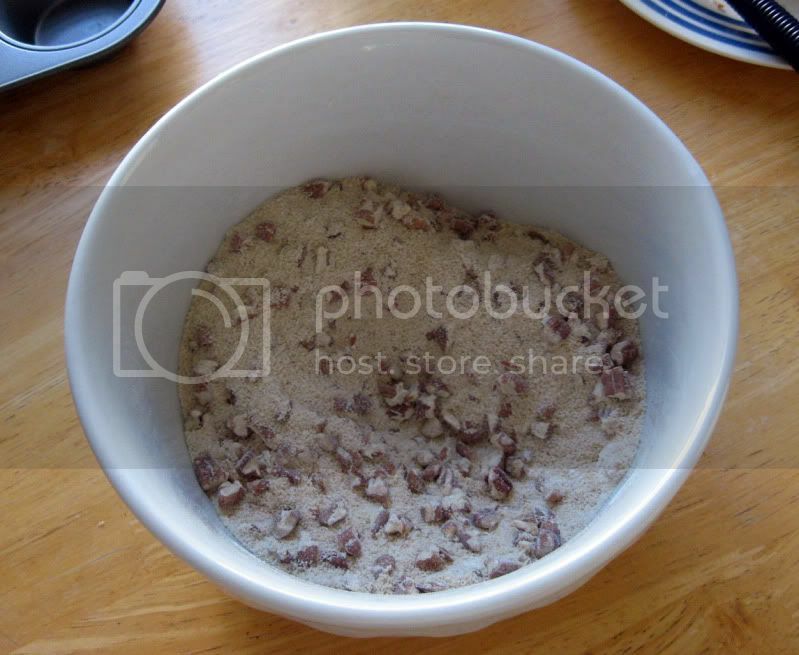 In a medium bowl, stir together brown sugar, flour and pecans. In a separate bowl, beat the butter and eggs together until smooth. Stir into the dry ingredients just until combined. 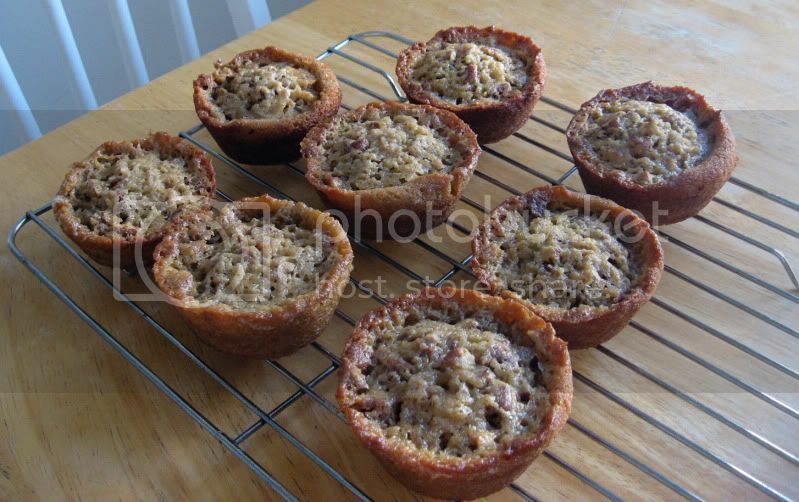 Spoon the batter into the prepared muffin cups. Cups should be about 2/3 full. Bake for 20 to 25 minutes. Cool on wire racks when done. Here are the dry ingredients all mixed together. I broke up the pecans by hand so they might be smaller bits if you use a food processor or some such. 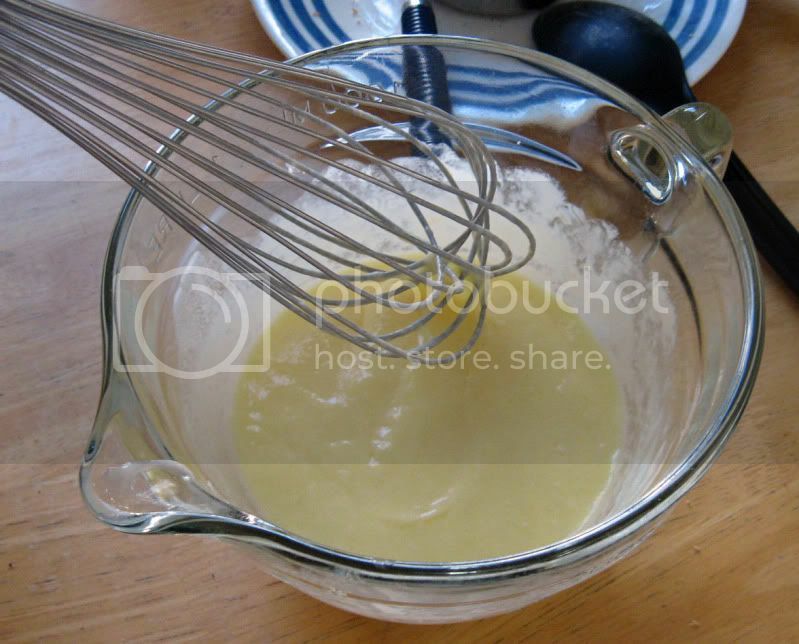 The butter and the eggs all whisked together. 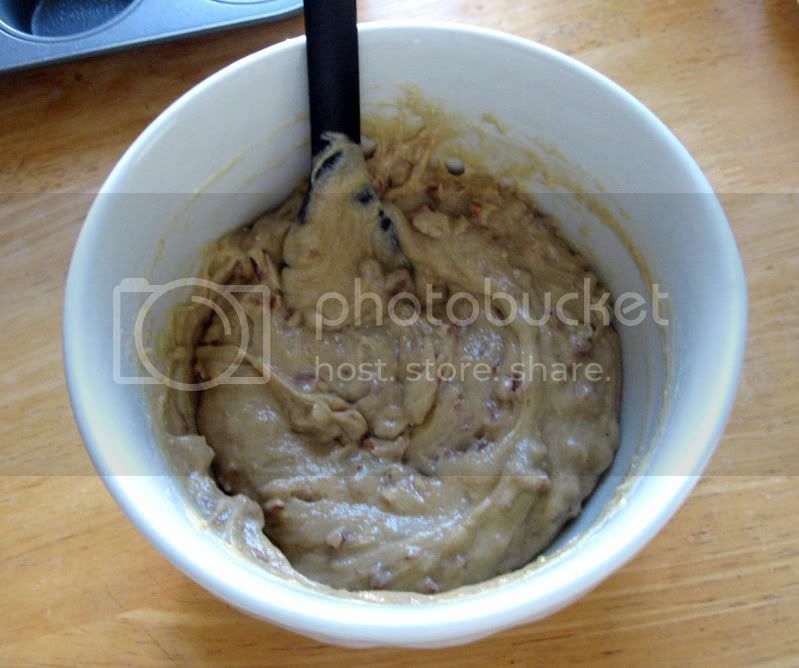 Mix the wet ingredients in with your dry until just combined. Greased muffin pan. As you can see, for me it made eight. And, voila! I let them sit in the pan for a bit, then just turned it over onto the grate and flipped them over. They came out of the pan just fine. They're good but they didn't blow my mind or anything. You can probably sub almonds, any nut (except for peanuts!) would probably be okay.